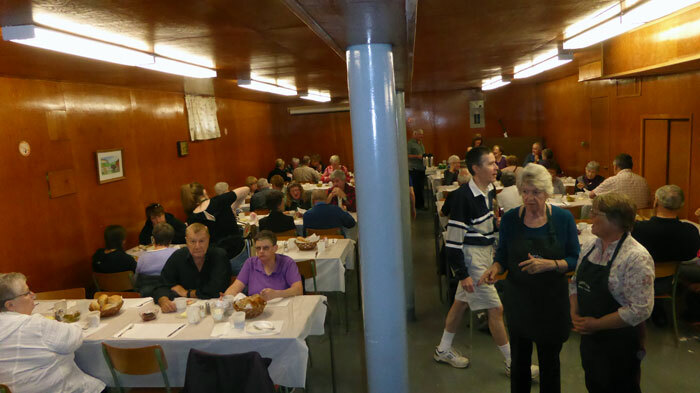 The Ham and Turkey Supper on Saturday, 30 May 2016 served delicious food. It was evident by the quiet in the room as people sat down and started to eat. 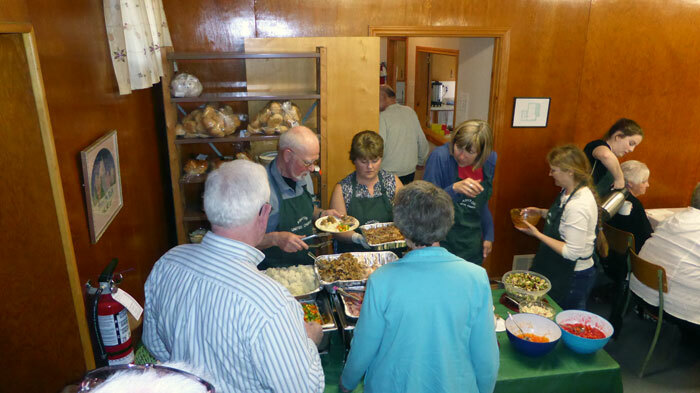 Others who had finished their main course or dessert were talking about the food; speaking with the friendly servers, table clearers, table setter-ups, and friends. Many compliments were overheard and the congregation of Ashton United Church should be proud to have held such a successful event and received all the positive comments. Some scenes of the evening are presented below. The ticket sales table personnel were extremely diligent with checking methods of payment. 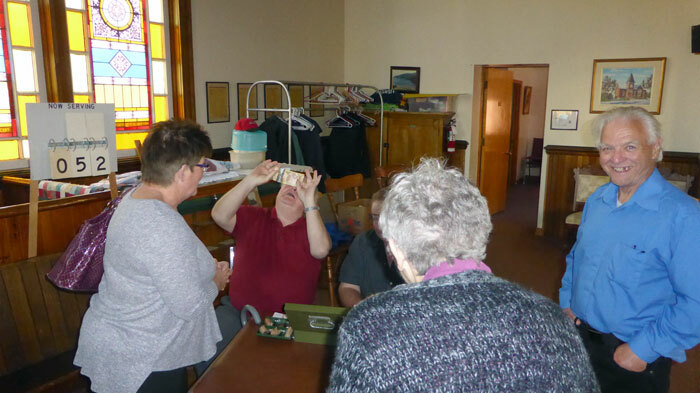 Here Terry is taking a very close look at someone’s Canadian currency to validate it as authentic. 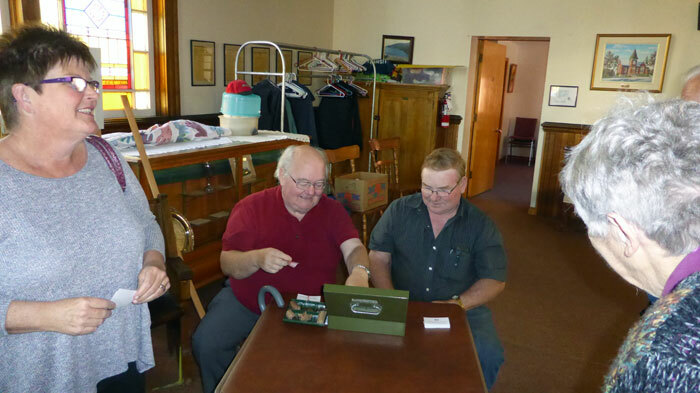 Having authenticated the bill, Terry accepts it and places it safely in the cash box under the watchful eye of Gary. The servers ensured they gave out what people wished and the quantity the were ready to eat. Hungry people came in steadily throughout the evening. Here we see a few places open at tables. Shortly after this photo was taken, all seats were occupied.